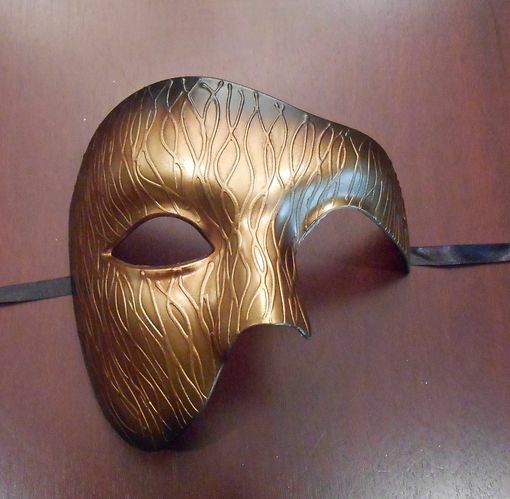 This men's phantom mask is hand painted two tone gold and black. Great form masquerade or Halloween events. Comes with black ribbon ties.